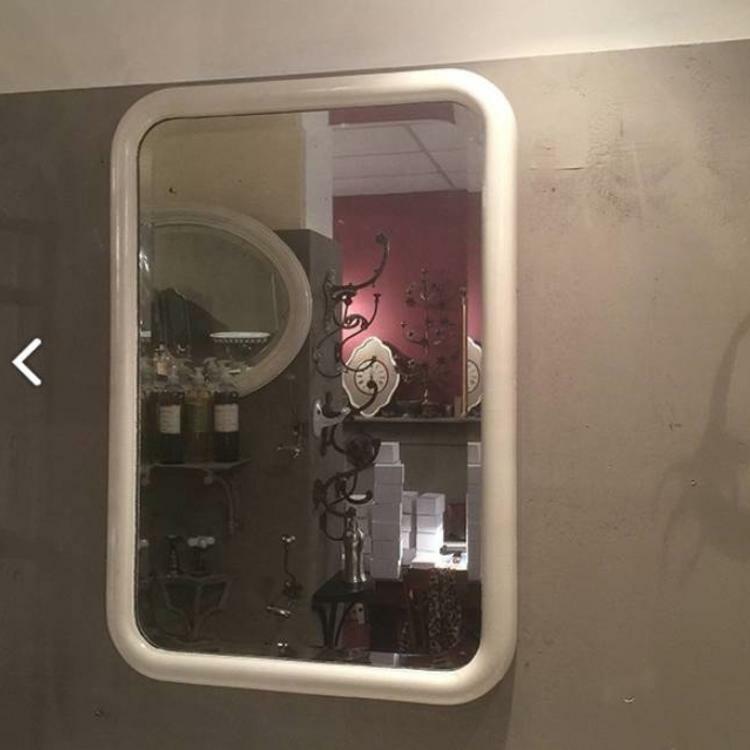 Antique mirror in a rounded wooden frame. 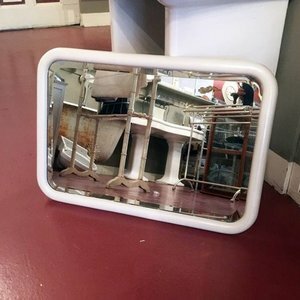 Antique beveled mirror in a wooden frame with rounded corners. 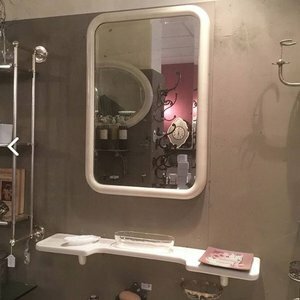 The mirror can be put on the wall horizontally or vertically.